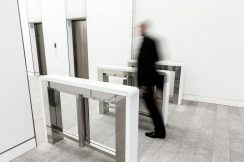 In order to seamlessly integrate in to the contemporary design of the reception area a bespoke anti-tailgating solution was required. 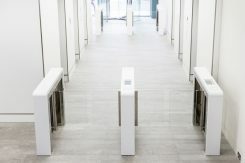 The four lanes of EasyGate SH Speed Gates were clad in white Corian to match the reception counter. 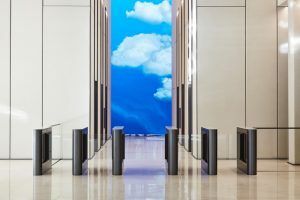 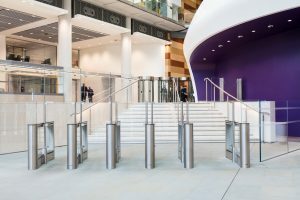 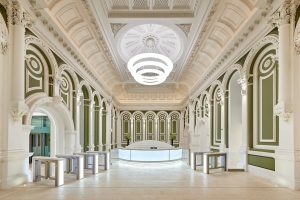 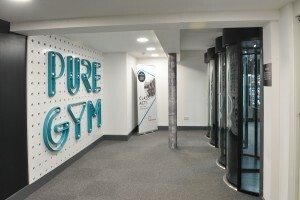 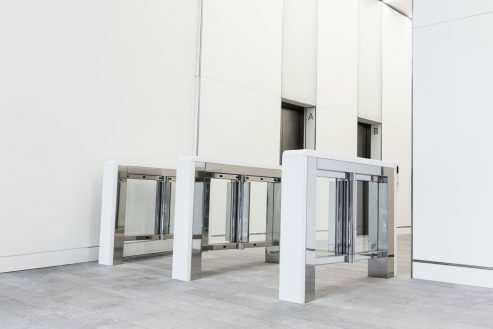 Two wide lanes, suitable for wheelchair access, were installed providing high throughput in each of the building’s entrances. 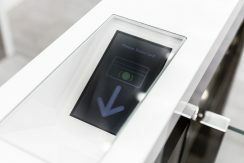 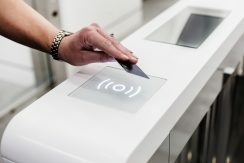 To assist with the flow of visitors and tenants a lift call display with visual/ audio guidance was recessed in to the Corian top lids along with a visitor card collector combined with a card stacking system. 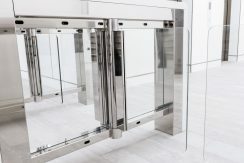 Finally, an incline on the floor surface demanded the bespoke manufacture of each turnstile leg to ensure a perfectly level finish.